August « 2013 « Blog Marcos L. Mucheroni Philosophy, Noosphere and Ciberculture. The Microsoft’s general counsel, Brad Smith, announced yesterday that the company, along with Google, you can sue the government, despite a statement on Thursday that it would make an annual publication on the application of surveillance information. Google and Microsoft would be asking the question of publishing “aggregate information” about the court orders addressed to the companies should be more transparent to customers, as stated companies. It is difficult to predict the end of this issue, but the world community wants more transparency. The contents of the Portal has a Creative Commons license, conditions that are free to use and guarantee of rights is governed authors and conditions established by Brazilian Law 9.610/98 copyright in this country. The provision, consultation and use of instructional materials available do not generate any kind of contract between the e-Portal Unicamp and who uses it. This offer is already a global trend (as OpenSourceWare MIT) that aims to raise the profile of public institutions to the community, where their educational content of courses are offered in various formats. 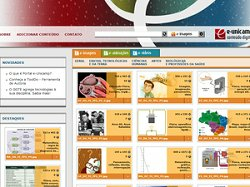 The site launched on April 19 this year libre has access to what is published and made ​​available in the areas of exact materials, human and biological. The University of São Paulo has a similar project, called e-lessons, but the use is restricted to the “Code of Ethics USP” and “Ethical Principles for the Use of Computers USP” of which the contents can be viewed at eaulas.usp.br. Is much discussion today about the semantics of the data, the Web tries to remake t he way to organize your content via the Semantic Web, but these studies are present in Information Science and reference name is JW Lancaster. His book ” Indexação e Resumos: teoria e prática” (Indexing and Abstracting in Theory and Practice, with Brazilian translation made by Briquet Lemos, now in 2nd. Edition) was the first American edition awarded in 1991 by the American Society for Information Science, as best book of the year in the area. Frederic Wilfrid Lancaster was born in 1933 in England, studied at the Newcastle School of Librarianship from 1950 to 1954, following his career in the public library system of Newcastle. In 1959, he immigrated to the United States, where he worked in private firms and specialized libraries in the development and evaluation of information retrieval systems. 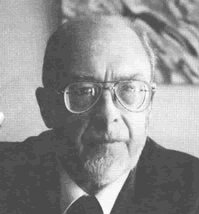 It was one of the first to work the evaluation of databases and do fundamental work in information retrieval, with the classic work called the Medical Literature Analysis and Retrieval System (MEDLARS), who performed at the end of the 1960s, to the National Library of Medicine U.S. (Jackson, 2005). Went to the University of Illinois in 1970, where he was professor ma Graduate School of Library and Information Science from the University, where he continued advising on development of information retrieval in automated systems, having rendered service to the CIA. In an article published in 1978, Toward paperless information systems, 1978, and in later works, the author argued for the inevitability of change of publications on paper to a paperless society, perhaps the first person to write about this. 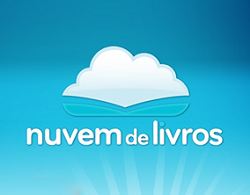 An entrepreneur’s of Gol, brazilian air enterprise, Jonas Suassuna, which has books in one of his passions, beloved nephew of popular northest brazilian writer Ariano Suassuna, is responsible for the Cloud Books, a project in partnership with mobile operator Vivo, for providing educational content without downloading. The entrepreneur who confesses to a “nonconformity” lack of access to books in public schools, especially in remote regions within the country, to seven years proposed to assist a project that came to be implanter after two years of the project started. The businessman points out that despite the phone numbers and access the internet already impress, there is still a large gap in the Brazilian public school. Brazilian schools, public and private, must have a library with at least one book per student (Law School Library). Who knows the reality of the Brazilian public school knows that it will be very difficult, “it takes an effort in the dissemination of books. The library now has a collection of 10 000 content for free also on tablets and phones, according to the website terra the service had already won 1 million users in Brazil. Facebook and relevance of news Facebook announced on its blog post that had your News Feed´s algorithm modified to highlight the “quality” of the news, your News Feed. Earlier this month, the “Face” had announced the change in the news feed algorithm, which decides which system should prioritize the publications page of social network users, was promised to improve the way that old posts will reappear in the feed Facebook. The grade of the post says: “The system uses thousands of different factors such as the frequency with which the content of a particular page is reported as low quality (for example, hiding a publication), how complete the profile page and as the fan base of a page overlaps the base of a page known as a high quality, “says the post explaining the novelty. The change was made based on users questions, ask where the relevance of content, reliability of supply, the desire to share om friends and complain if he saw that content in your feed. The login is also undergoing change where the user can decide on its contents and determine whether to publish them. It was determined that in yesterday a U.S.A. court for refusal of a patent lawsuit, the U.S. Court of Appeals in Washington reversed a lower court decision that forced both companies to reveal only parts sales and profits. 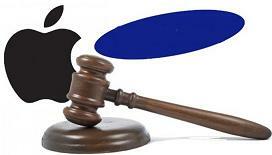 Because of the patents, the two companies has faced around the globe since 2011, with the apex trial occurred last year in San Jose, California, when the jury had awarded to Apple more than $ 1 billion, but after judge Kucy Koh, backtracked and opened a new trial. The decision was then Koh against both companies, since the public interest is greater than the rights of companies keep information secret, and the decision of the Court of Appeals was made ​​unanimously. As would be nice if the public interest to private prevalesse always defedendo people. 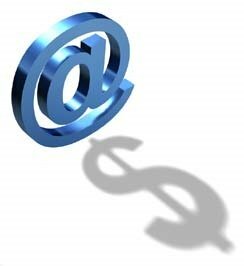 Commerce grows 24% The e-commerce grew 24% in Brazil in the first quarter of the year compared to the same period last year, says the study WebShoppers, released yesterday (21/08). 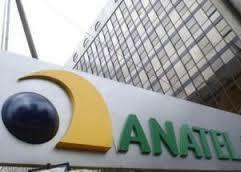 The Brazilians have made over 35 million in the first half, orders via the Internet (20% in value over the previous year) and the price of medical purchases also grew 4, giving the value of R $ 259.49. The sectors are the record holders “Fashion and Accessories” with 13.7% of the total and appliances with 12.3%, then comes toiletries and cosmetics (12/2%), IT (9%) and books and subscriptions magazines (8.9%). The semester until June 46.16 million people had already made at least one purchase online, but only 3.98 million were new consumers, against 4.64 million in the same period in the previous year, a decrease of 14% indicating a path market stabilization. Irregularities in service in March 2012, several companies of electronic commerce (like Submarine, Americanas and Shoptime) had closed the virtual doors, but an injunction allowed them to return to work, but they are also subjected to Procon (Consumer Protection). In the early twentieth century, the physics model that is something we might call today the rigid bodies and low-speed, low compared to the speed of light, which became for quantum physics an important reference because it was she who changed our vision of mass and matter, creating a physical micro-particles that revolutionized even the way of thinking and it is important to understand the ‘information’ outside man. All we can tell, all the model we have today of the whole universe is connected to this physical and she is about to meet a single model: the micro-particles, including photons particles and electro-magnetic waves in a single model, called Standard Model of Physics, the discovery of the Higgs particles or Particle of God in recent experiment done in the particle accelerator at the borders of France to Swizerland it helps this model. But we must understand that this model corresponds to only what we understand as matter, that this is most stable part of the universe, and physicists call baryonic matter, even though 22% of this it is a “dark matter” (baryonic and non-baryonic) , and there are still a matter totally unknown, but acting on gravitational attraction, which is called dark energy, which permeates the darkness of space. This information model profoundly influenced the thought of Claude Shannon, a young student who worked on the influence of Norbert Wiener, father of cybernetics, and Vannevar Bush, both his professors at MIT, and which work very close in the late 30. Later meet up with Alain Turing and then begin to develop this information model “quantized” who wrote in 1948 “The mathematical theory of communication, prefaces by Warren Weaver, and Wherefore sometimes called theory of Shannon-Weaver. Shannon’s theory was essential to provide treatment “digital signals” analog for it some times is seen as a theory of digital signals and not information. 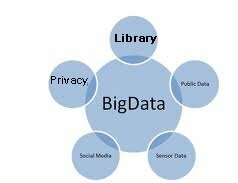 Technology Data Big Data is poised to revolutionize all aspects of human life and culture as people collect and analyze large volumes of data to predict behavior, problem solving, safety, and numerous other applications, is what ensures the site Christian Science Monitor. The generation of large amounts of data is being driven by the increasing digitization of everyday activities and dependence on electronic devices of people who leave “fingerprints” concept that can be extended to trace “information”, since any object in any state conservation may contain “implicit” that is not yet in a suitable format. The site CSMonitor cites a large data project which is a remarkable effort by the Library of Congress to archive millions of tweets per day, which can cost a lot of money for its historical value. One example cited is the work of Richard Rothman, a professor at Johns Hopkins University in Baltimore, fundamental save lives. The Centers for Disease Control and Prevention (CDC) in Atlanta predict flu outbreaks, and does so through the reports from hospitals. But it took weeks, in 2009, appeared a study where researchers could predict outbreaks much faster through the analysis of millions of Web searches, queries made ​​as “My son is sick” and could learn a flu outbreak long before the CDC knew the reports of hospitals. But the technologies of large volumes of data also has a boundary claim, in which technology is perceived potential distruir privacy, encourage inequality and promote government surveillance of citizens or others in the name of national security, how to reconcile these two trends ?